I am talking to a friend about my most recent, not to mention unsuccessful short story writing attempt, when she suddenly goes sage on me, “Chinua Achebe once said, ‘For an African, writing in English is not without its serious setbacks. He often finds himself describing situations or modes of thought which have no direct equivalent in the English way of life. Caught in that situation he can do one of two things. He can try and contain what he wants to say within the limits of conventional English or he can try to push back those limits to accommodate his ideas ... I submit that those who can do the work of extending the frontiers of English so as to accommodate African thought-patterns must do it through their mastery of English and not out of innocence.’"
The year is 2011, 45 years after Botswana a former British Protectorate gained independence from the British. It was done in a rather civilised fashion, with one flag calmly climbing down the pole while another took the spotlight in all it’s bright azure blue and aspirational black and white stripes. This seems to have set the tone for an exceptionally peaceful 4 decades, that is outside of the recent civil strike which nearly brought our young economy to a standstill, but that is a story for another day. Still the 2011 Global Peace Index says we are the most peaceful country in Africa for the third year running and number 35 out of 153 countries measured around the world. In this day, at this age in her development Botswana is socially in transition. She has pockets of folks clinging to tradition, a fair bit of her younger generation might as well be American and then there is the rest of us swaying somewhere between the two. This transitional generation was raised by stalwarts of the past and as a consequence feel we owe tradition some respect, but wearing a tukwi ie a woman's headkerchief, learning funeral hymns by heart and keeping vigil for the dead rather than being at the recently shutdown fashion lounge night club is a weekly struggle. Somewhere, not independently of this development, spoken word has raised its hand hesitantly. It is by far one of the consistently growing 'pastimes' in the capital city of Gaborone and arguably within the bigger towns as well. Every third university student, although studying something practical, uses words in some form or other; theatre, short story writing, song, hip hop or poetry in their spare time. Performance poetry (though some argue there is no such thing), specifically of the free verse/ blank verse/ spokenword poetry family, has found an eager to practice lot partly because it appears to this dot com generation to be a quicker path to rockstardom –not as exhausting as trying to write a 500 page novel or as ‘fixed’ as writing a short story. It has no insistent need, at least not immediately, for publication and word has it 3 semi-solid poems could turn you into an overnight celebrity. A fair number are under the illusion that you are at liberty to break the rules – without learning them first. Either no one in this 1.8million strong country, is writing in fluent, unsullied Setswana or their attempts are not considered newsworthy. Either scenario is scary but more so if the language is dying in real time. In my time. For if language is indeed inseparable from culture, housing all our norms and values, in an often untranslatable manner - then we stand to lose more than just words, we lose the blueprint for who we are. And without that reference how do we move forward? As our first President Sir Seretse Khama said at a 1970 UBLS graduation, "It should now be our intention to try to retrieve what we can of our past. We should write our own history books to prove that we did have a past, and that it was a past that was just as worth writing and learning about as any other. We must do this for the simple reason that a nation without a past is a lost nation, and a people without a past is a people without a soul." 2004 brought with it the country’s first broadsheet, Mokgosi, a newspaper written in Setswana under the enterprise of a Mr. Methaetsile Leepile. In an interview with RAP21, not long after setting up the paper Leepile reportedly said, “Changing public perceptions is one of the biggest challenges that Mokgosi faces. 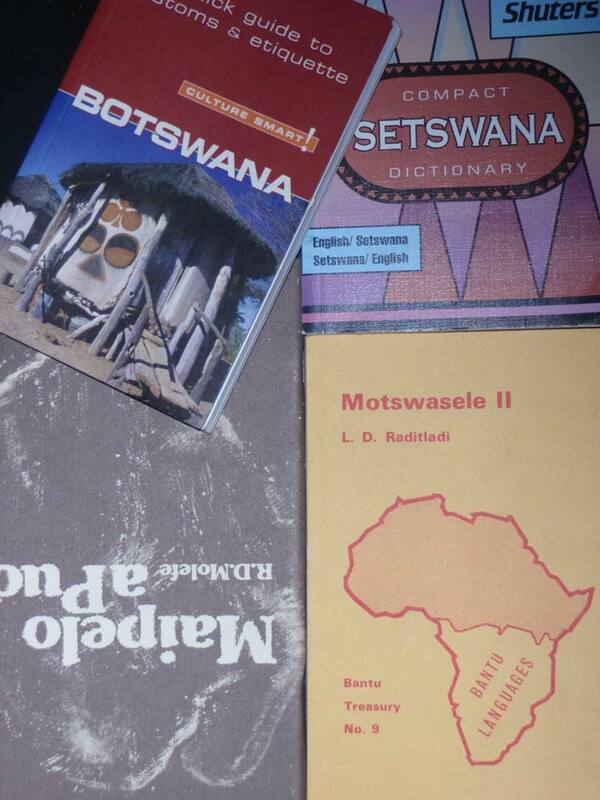 The truth is that there is a widespread perception that reading Setswana is difficult. That was exactly the perception with English a decade and half ago when I used to work for an English language paper”. The whole wonderful initiative lasted less than a palm-full of years. The word on the street? Beyond the usual distribution and financial issues that sometimes stalk start up papers, apparently not very many people bought it,“Batswana don’t read” – though I must point out the English papers are increasing by the year and the few bookshops we have remain open, "Batswana believe English is the educated man's tongue", and then there’s the “anyway Setswana is difficult to read, it takes too much effort to get through a sentence” line. I am the first to unsmilingly raise up my hand and say I write through the language I am best able to articulate my thoughts in. And as someone who was privately (English medium) educated, living in a country where I have never met an interpreter of written Setswana poetry to English, and given the small population of where I live this is perhaps a misguided attempt on my part to secure a larger and much more international audience. I’m told only 5million plus people in the world speak, or should speak due to parentage, Setswana/ Tswana (4 million of those are not within Botswana’s borders). I have no intention of publicly dragging back the ever broadening Setswana language through my limited vocabulary in some innocent attempt to preserve the language. I speak it at home and with friends but not really during interviews unless I am pushed and I certainly do not write (for public consumption) in it. I am not proud that I cannot write acceptable poetry or a half decent article in iKalanga or Setswana but neither am I ashamed that I write in English. First I am a poet and if anyone else sees themselves primarily as a language custodian I am happy to assist where I can but my primary battle is to nurture the love of words, in any language. 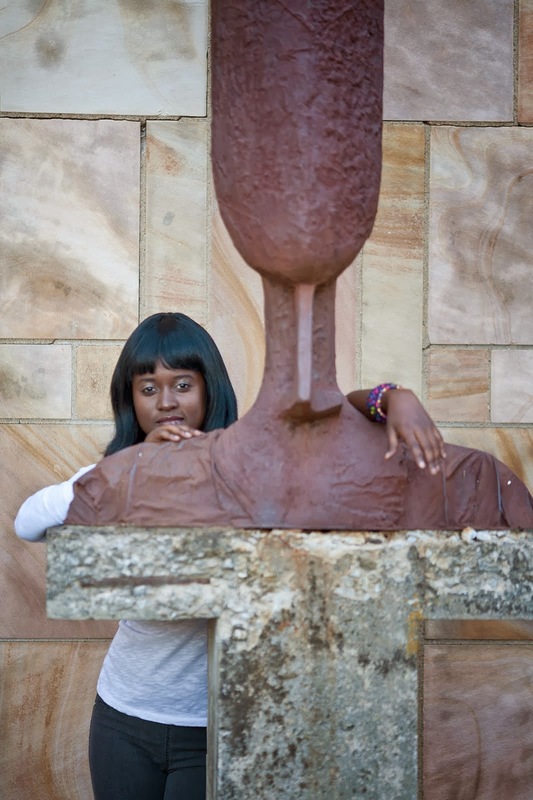 I adore my mother tongue (iKalanga), my ears are tuned to find it’s tempo womb-warm, I celebrate the euphemistic-richness of my national language (Setswana) and gladly exploit the practicality of the English I have taken ownership of, which is as much mine as it is any else's. One of my favourite poets, Moroka Moreri recites only in Setswana, he is a wonder to behold; able to stand in front of a room full of people and much like some rappers summarise a morning’s worth of activities off the top of the head quite succinctly and in traditional form. His leather (cow hide) garments evoke a by gone era while speaking to the hope that perhaps not all is lost. You will not have seen him or heard him as often as you have the urban poets. But perhaps the idea of a poet being pooled beyond his community is a ludicrous one in our traditional context. After all publicity is a western ideal, our folk artists and poets kept close to their communities almost always – documenting, mentally archiving, passing on that particular place’s silos of knowledge to the next generation. Pre independence there was more live performance than publishing – if any at all- going on and certainly less concern with a poet’s national or international popularity than with the communal relevance of the words they spoke. Memory was each artist’s best friend, their tool stalling time until a new memory keeper would arise to hold fast to the stories, the songs, the poems. If indeed this is where our lore and the values imbedded in them still are, away from television screens and city lights but still there, then I shall breathe easy tonight. No doubt it will become harder to find an eager next generation of griots, the city lights will get brighter than the village fireside each year and the children will willingly be pied-pipered away from the places and the languages that spell home for them. Still, perhaps this is not a case of a handful of rebellious urban writers shunning tradition’s tongue, but a diversification of a national knowledge base as well as a coincidental seeing of what must be done – by those who hear the call – to introduce new ways of storing what tradition’s memory has carried this far into the past’s future, our today. Be it through recording, transcribing or ensuring that the line from one generation to the next does not break. In my next post I’ve asked a few acquaintances and friends, fellow writers in one way or another, to answer a few questions about writing in English or rather not writing in Setswana. I’m eager to hear what these ‘urban’ writers have to say for themselves.